However, District Education Officer, Dinesh Chandra Dev told the media that he has not received any complaint regarding the incident. "Had we got any such information, an investigation would have been done. But till now we have not got any such complaint," said Mr Dev. 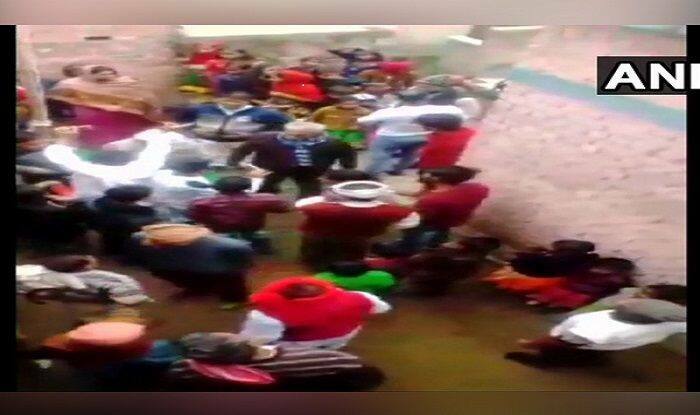 Patna: Scuffle broke out between a primary school teacher and locals at Bihar’s Katihar on Wednesday after the former allegedly refused to say “Vande Mataram” following a flag-hoisting ceremony on Republic day. The teacher named Afzal Hussain said that he didn’t say “Vande Mataram” as it was against his religious belief. District Education Officer, Dinesh Chandra Dev earlier told the media that he has not received any complaint regarding the incident. “Had we got any such information, an investigation would have been done. But till now we have not got any such complaint,” said Mr Dev. The teacher asserted that he believes in Allah and saying “Vande Mataram” would mean going against his religious beliefs. He added that, “Nowhere in the Constitution is it written that saying Vande Mataram is necessary. I could have lost my life,” he said. Similar incidents in the past had made headlines. Many Muslims feel that singing “Vande Mataram” or uttering the words is against the tenets of Islamic beliefs. In a separate incident which took place in October last year, as many as four students of an aided inter college in Uttar Pradesh’s Ballia claimed they were attacked by some people at the behest of its authorities for complaining that singing “Vande Mataram” and chanting “Bharat Mata ki Jai” were not allowed in the institute, police said. According to a complaint lodged by class XII student Anuj Kumar Gaur, he and his three friends were attacked outside the GMAM Inter College gate in the afternoon, ASP Vijay Pal Singh said. Notably, Vande Mataram is a Bengali poem written by Bankim Chandra Chatterjee in 1870, which was later composed into a song by Rabindranath Tagore. In 1937, the first two verses of Vande Mataram were adopted as the National Song of India by the Congress Working Committee.